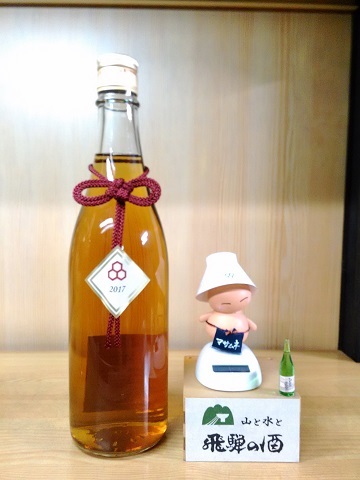 While our Junmaishu and Honjouzoushu are slightly diluted with water when bottled to reduce the alcohol content, Genshu is not. This style of sake is bottled directly from the aging vats without any dilution and thus has a higher concentration of alcohol. It is mild on the palate and you do not feel the high alcohol content (20%). Its robust acidity and well-balanced, mellow taste appeal to many people. It is full-bodied yet leaves a crisp and refreshing aftertaste. Genshu is a captivating masterpiece praised by even those who do not drink sake regularly. We proudly offer Honjouzoushu, our excellent product with a rich and well-balanced flavour.It is full-bodied, moderately acidic and not too thick. Despite the richness, it is easy to drink and goes down smoothly. at various temperatures. It has different characteristics depending on the year it was brewed and also tastes very different if served warm or cold. and either really like it or dislike it. Relatively speaking, it is popular amongst Europeans. This is milky sake. It's not dry. The precipitation is very fine rice solids. Before you pour it, shake the bottle well.